The use of olive oil spans millennia. The olive is mentioned in Homer’s Odyssey and appears many times in the Bible. 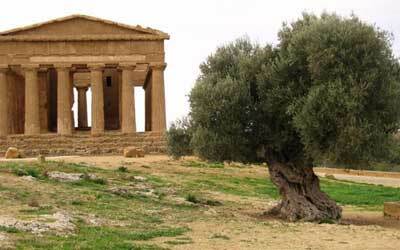 Sophocles called the olive tree “the tree that feeds the children”. In the Olympic Games of ancient Greece, winning athletes were awarded a wreath made from a branch of the olive tree. Over time, the olive branch came to represent the human traits of nobility and goodness and, to this day, remains a symbol of peace. 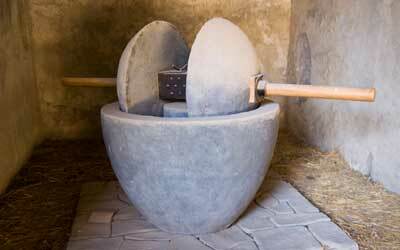 Grinding the olives into a paste. Mixing the paste (called “malaxing” in the industry). Separating the oil from water and solids. The traditional milling process uses very large millstones to grind the olives until the resulting paste is at the desired level of fineness; the milling must be done by purely mechanical means. After grinding, the next step is to extract the oil from this paste. Malaxing the oil allows the oil droplets to combine into larger drops. Finally, the oil is separated from water and solids, typically through centrifugation, after which the oil is “racked” in tanks to complete the separation and then prepared for shipping. At Frescolio, we stock around 22 extra-virgin olive oils (EVOO) that are among the best in the world. These come to us as soon as is practically possible after crushing, so that their freshness is ensured. We import these in bulk. If you purchase oil in the store, we transfer the product from the bulk container to a Frescolio bottle that is then tightly sealed. This on-site bulk-to-bottle approach is known to be effective in maintaining the oil’s freshness. 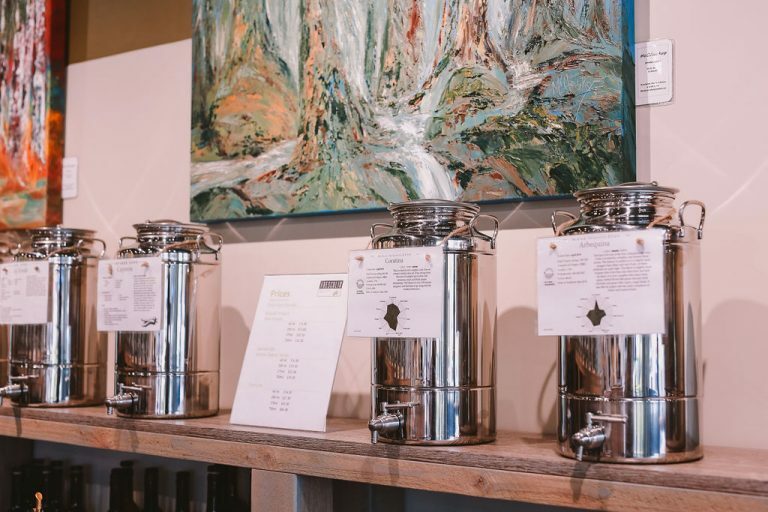 Varietal olive oils, or “mono-varietals”, are extra-virgin olive oils that have been made from a single variety of olive (just like in varietal wines, which are made from a single variety of grape). Each variety of olive imparts a distinct taste to its oil. Our varietal olive oils are classified by intensity: mild, medium and robust. Fused olive oils, or “agrumato” oils, have added natural flavour. With this method, fruits, vegetables or herbs are combined with the olives at the time of initial crushing, resulting in full, robust added flavour. Infused olive oils, on the other hand, have had the concentrated oil from herbs, fruits, vegetables or spices added later in the production process. This method provides a wide diversity of flavour options. The hemisphere in which olives are grown determines when they are harvested. We buy only premium olive oils that have been produced in the most recent harvest season, no matter where in the world that may be. This practice allows us to offer excellent oils that are as fresh as they can be, and to do it throughout the entire year. The freshness of our oils ensures the best flavours and the greatest health benefits. Various studies have shown olive oil to offer several health benefits. Benefits include healthy fats, antioxidants and no cholesterol as well as normalizing blood pressure and controlling blood sugar levels. There are several national and international organizations that establish and/or maintain standards for the olive oil industry. The organizations determine the various chemical and taste standards for olive oils, which are tested in independent labs. At Frescolio, we guarantee that our extra-virgin olive oils meet or surpass all the international standards, and we post the test results alongside our varietal olive oils in our stores. Interested in further reading? Click for additional resources about olive oil and the olive oil industry.